The Packers’ 2017 season was flipped upside down with Aaron Rodgers breaking his collarbone during a week six defeat to the Vikings. The team finished the year with a 7-9 record, missing the playoffs for the first time since 2008. With no plans to experience another season like 2017’s, the Green Bay Packers tapped the reset button and made a number of moves this offseason. But before the team kicks off its 100th season, there are four preseason games for younger and unproven players to either earn a hard-fought roster spot, or play their way to the free agency scrap heap. The Green Bay Packers will play all four preseason games against AFC teams, with an opener at Lambeau Field and a week three reunion with a well-known wide receiver. 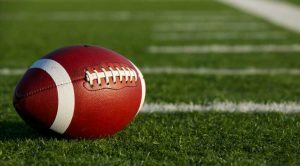 Week 1: Thursday, August 9 – Tennessee Titans at Green Bay, 7 p.m. The Packers’ first exhibition game will take place at home for the second season straight. This will be the team’s first time competing against the Tennessee Titans during the preseason at Lambeau in 10 years. The teams last met in the preseason in Tennessee four years ago, with the Titans winning 20-16 on a late fourth-quarter touchdown. This will also be Mike Vrabel’s first game of his head coaching career, and after a 2017 season that led to an unexpected appearance in the playoffs, the Titans look to be a team on the rise and a possible Super Bowl LIII contender. Week 2: Thursday, August 16 – Pittsburgh Steelers at Green Bay, 7 p.m.
For the first time in 22 years, the Packers will host the Steelers at home in the preseason. The Steelers are coming off a disappointing playoffs showing but can still be considered one of the top teams in the AFC with the talent of Antonio Brown and Ben Roethlisberger. The game will also feature the return of former Packers safety Morgan Burnett, who signed with the Steelers as a free agent. Week 3: Friday, August 24 – Green Bay at Oakland Raiders, 9:30 p.m.
Week three will bring a reunion with receiver Jordy Nelson and former Packers staff when the team travels to California to play the Oakland Raiders. Nelson was cut by the team in March after a disappointing 2017 season in which he recorded a career-low 9.1 yards per reception. The Raiders are led by head coach Jon Gruden, a Packers assistant coach in the ‘90s, general manager Reggie McKenzie, a former Packers executive, and receivers coach Edgar Bennett, the Packers’ previous offensive coordinator. The team also picked up Packers’ former tight end Jared Cook. Traditionally, the third preseason game is when the starters see the most playing time and when teams most closely resemble the product they will field in the regular season—so fans should get a good look at Nelson playing with his new team. The Raiders are a frequent Packers preseason opponent, but this will be the Packers’ first preseason game in Oakland since 2001. Week 4: Thursday, August 30 – Green Bay at Kansas City Chiefs, 7:30 p.m.
Green Bay will close out the four-game preseason slate at Kansas City. The matchup has become routine, with the Packers ending their preseason against the Chiefs six times over the last eight years. Last season, the Chiefs won the AFC West, and with Andy Reid returning as head coach and new QB Patrick Mahomes at the helm, the team’s hoping for a Super Bowl run this year. Expect the majority of starters to sit this game out as this is the last opportunity to closely examine the rest of the roster before the team is cut down to 53 players. None of the Packers’ preseason games will be nationally televised, and the Packers will not have a rematch with any of their exhibition opponents during the regular season. If you’re interested in taking in the preseason action at Lambeau, contact Event USA for tickets! Looking for the best way to pregame in Green Bay during the upcoming season? Don’t miss out on Event USA’s world-famous tailgate party with a NEW and IMPROVED menu! Starting in the regular season on Sunday, Sept. 9, Event USA is partnering with The Bar on Holmgren Way for its tailgate party! With two different tailgate party packages to choose from, Event USA has your pre-game needs handled! Whether you go VIP or keep it traditional, Event USA’s Fan Tailgate Party includes an “all-you-can-eat” buffet of traditional Wisconsin “tailgate party” fare! Starting three hours before kickoff, fans can chow down to their heart’s (and belly’s) content before heading into the hallowed grounds of Lambeau. The party is held just blocks away from the field. Event USA pulls out all the stops for an unforgettable tailgating experience. Click here to learn more! Two driving forces allow the Green Bay Packers to stand out among NFL franchises: A long tradition of winning and an unparalleled closeness to the community. 2018 marks 100 seasons for the team, adding a unique aura to the upcoming shareholders meeting. It is football’s most unique franchise structure. Throughout history, the Packers have been financially supported by the fans through five stock sales. The most recent, launched in 2011, allowed 250,000 more people to proudly say they are part owner of the team. The 2018 Annual Meeting of Shareholders, set for this evening, continues the tradition, while launching the team’s year-long century-mark celebration (preferably capped with a Super Bowl victory in Atlanta). Being the first Packers Shareholders Meeting scheduled at night in many years, it’s predicted that more than 10,000 fans, from across the state and country, may be in attendance. “I think the only more highly attended shareholder meeting is Berkshire Hathaway. They have more people, so maybe on our 100th anniversary we can break the record,” Green Bay Packers president Mark Murphy said. Shareholders arrive the day before the start of training camp and the “Packers Experience Festival,” a free, four-day event boasting a replica locker room, live music, a Packers alumni Q&A, photo stations, a USA Football kids’ clinic and more. Are you a Packers Shareholder with 2018 game tickets to sell? As the Packers are putting the offseason aside to renew their effort for another Lombardi Trophy, it is the time of year when both the team and its fans begin to prepare and plan! Tickets are in the mail, and season ticket-holders are plotting out which games to see, and which games to share. 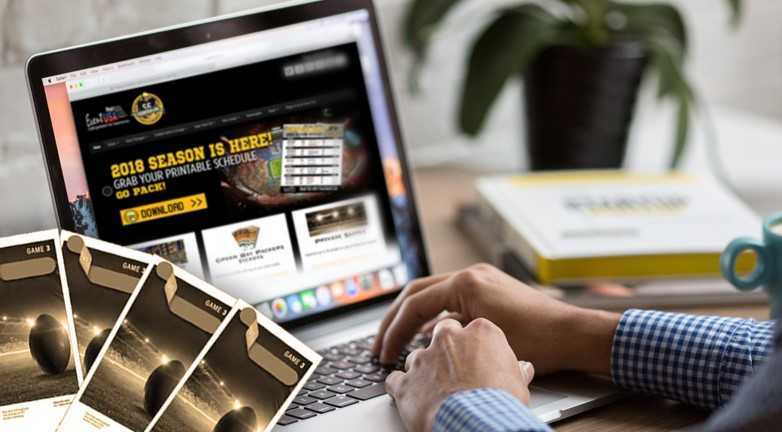 Using Event USA, letting others experience the football mecca known as Lambeau Field has never been easier! No wondering, waiting & monitoring: When you attempt to sell your tickets on websites like StubHub, you are really consigning your tickets. There’s no guarantee they will sell. You may have to constantly monitor the price as the market value of tickets rises and falls. And if Aaron Rodgers or some other key player goes down with an injury, and the ticket values plummet, yours will go down along with them. When you sell to Event USA, you get your price immediately…no wondering, waiting and monitoring. 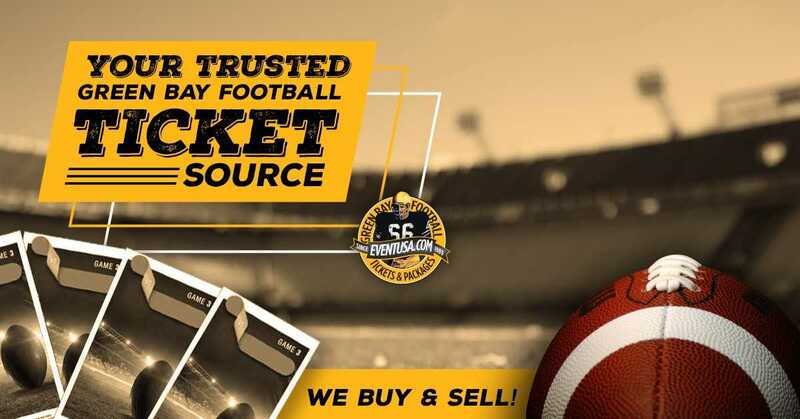 Looking to buy Packers tickets? Event USA has everything you need to make your trip to the Frozen Tundra complete. Learn more. Green Bay Packers News – The Packers will be playing to win the NFC North title against the Bears this weekend, so you might think they’d be glad that Chicago will be playing without linebacker Brian Urlacher at Soldier Field. According to Packers quarterback Aaron Rodgers, that isn’t the case. On his Tuesday radio show, Rodgers said that he’ll miss the longtime Bear when the teams take the field on Sunday. With Urlacher heading toward free agency, there’s a chance that he’s played the Packers for the last time as a member of the Bears. While it would have been nice to see him take part in the rivalry one more time, any Packers disappointment about who wasn’t on the field will likely fade if they’re celebrating a division title come the final whistle. 12/12/12: Happy Aaron Rodgers Day from Event USA! It’s Aaron Rodgers day and that means great deals for Packers fans at Event USA and the Vault! We’ve put together some deep discounts on memorabilia and ticket & tailgate packages just in time for the holidays, so whether you’re a Rodgers fan, or shopping for the Packers fan in your life this holiday season, Event USA has something for you! 12% Off Rodgers Full Size Helmets, Footballs, and Prints*! Just use coupon code 121212RODG at checkout! Aaron Rodgers Mini Helmets only $189! Great deal on an awesome stocking stuffer for the Holidays! Great Discounts for the last regular season home game at Lambeau with an all you can eat, all you can drink tailgate! Don’t miss out on your chance to get to Lambeau Field for a Packers home game in 2012! 12% Off Memorabilia from Rodgers favorite Targets! From Jordy Nelson, Randall Cobb, Jermichael Finley, James Jones, and Greg Jennings! Just use coupon code 121212TARG at checkout! Full Size Helmet signed by Rodgers, Starr, and Favre only $1299! Regularly $1499, you can’t beat this price! Jumbo Aaron Rodgers Canvases only $312*! Regularly $399, these gorgeous canvases are fully stretched and ready to hang!